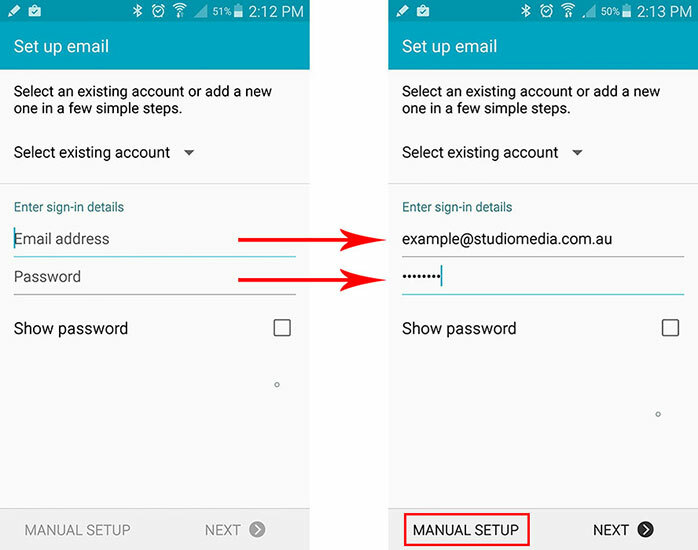 The following guide explains how to setup emails on your Android Phone, such as the Samsung Galaxy and HTC One. 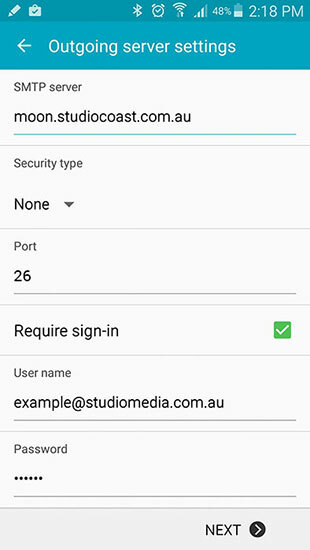 This example uses Android Lollipop. 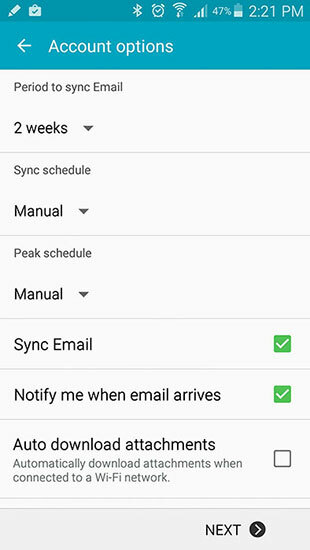 On your Android phone, open your Email application. You may find this under "Applications" (or Apps) and then "Email". If you have not created an email account before this will take you straight to where you start entering in your email information. If you have an existing email account setup, you will need to select the "Menu" button and then "Add Account". Enter in your Email Address and your Email Password. Then click the "Manual Setup" button. If you are unsure of your email password, visit the "Email Accounts" section of hostControl and click 'Display Passwords'. Next, select between POP3 or IMAP. 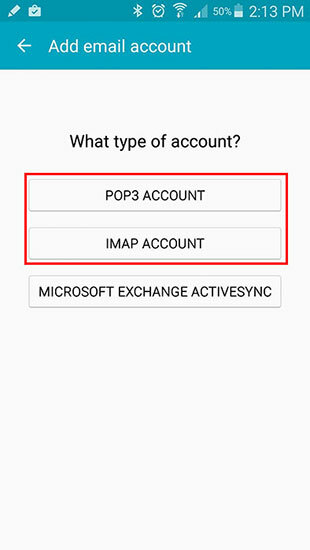 If you are unsure which to choose, see the following Knowledge Base article link on Should I choose POP3 or IMAP?. 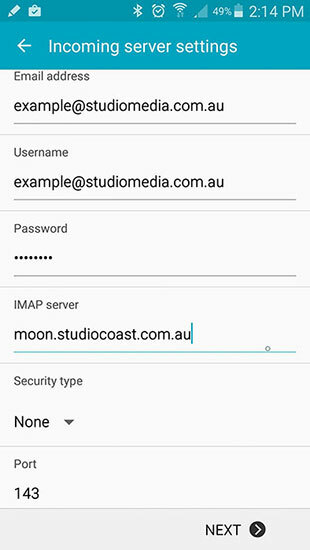 For smartphone devices we recommend choosing IMAP. Next fill in your email's Incoming Server Settings as per below. Password: Your Email Account's Password. IMAP/POP3 Server: Your email account's incoming mail server. To find this, please refer to your Account Information by logging into hostControl. Security Type: You can either select None or SSL. Port: This will be filled in automatically for you. Fill in your Outgoing server settings as below then click 'Next'. SMTP Server: Your outgoing mail server will be the same as your incoming mail server. Require Sign-in: Yes. Make sure this box is checked. You may also have the next screen come up. Select any options based on your personal preferences and select 'Next'. 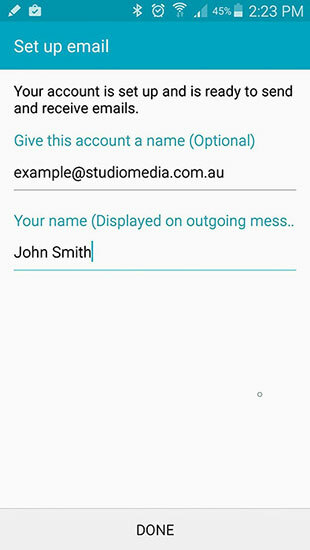 In the final step you can give your account a name for your reference (such as your email address). In the "Your Name" field type in your name as you wish it to be displayed when sending recipients emails. Click 'Done' to finish.